This morning, I’m not writing about what I said I was going to write about. Instead, I offer you, hot off the presses of my experience, a case study…an experience in knowing. Years ago, I was tasked with writing a personal credo, and it began with the words, “We are not alone.” And yet, loneliness is pervasive. It grows oppressive when the awareness of God recedes, put in flight by any number of assailants; atheistic evangelism, the failure of the modern church, the ongoing suffering of innocents, pride that just won’t quit, or legitimate crises in knowing how we know. By way of metaphor, let me slip from “loneliness” to “emptiness.” “Filling” is an idea that’s been with me for a long time. Providence even gave me a song about it when I was in “Smoke on the Mountain” back in 1996. “Bring Them In” referred to a “filling station” where folks could be filled with all that was good. Reference Isaiah 55 and its notions of that which satisfies, the finest food wine, the richest of fare that costs nothing. Yesterday, I had one of those outbursts. Not a shouting one, but a sighing one. (NOTE: Make no mistake, I have no real complaint about life at the moment. I’m just living it, like you are. But the truth remains…in my experience, even the most glorious moments of fulfillment rapidly lose their shine, and off we go, plodding in search of the next one.) 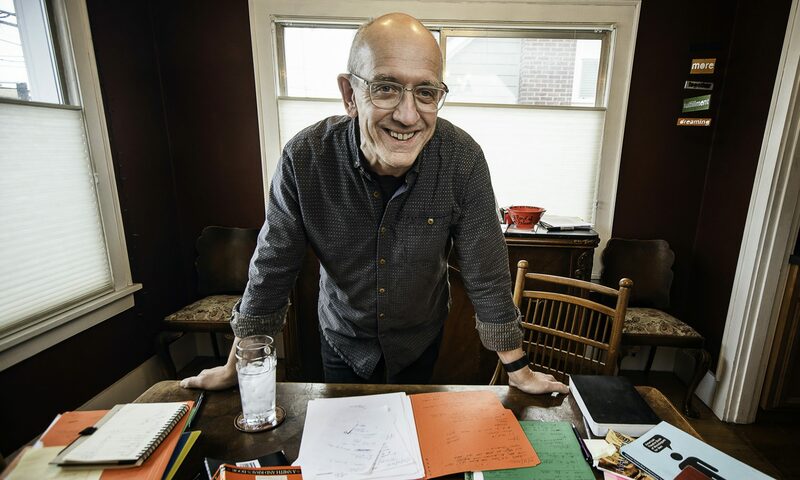 My war with Resistance (Pressman, The War of Art) is in full tilt, my poor characters (in my play) are at each other’s throats, and the house is quiet as my imagination roars away at ghosts. So along the way yesterday, a small burst of a prayer, most likely muttered through the fog. Cut to: This morning I woke at 5:15. Got up, brushed my teeth, wandered down the stairs. Did my coffee ritual, and sat down, as I usually do, with a fairly hefty Bible. I’m being pulled into Isaiah it seems. Judah has gone from being a faithful city to a whore, and God is unhappy. Isaiah says get down into the rocks and crags and hide, because the terror of the Lord is coming. But I’m actually in chapter 6 now, and there are the seraphs, those creatures hovering before the throne of God with six wings. For whatever reason, I saw those creatures clearly in my mind’s eye (something Francis Schaeffer said couldn’t be done, btw…), and an idea struck me. 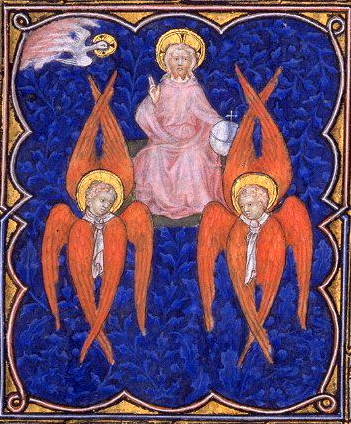 The seraphs have six wings; with two, they cover their faces, with two, the cover their feet, and with two, they fly. How are faces and feet and flying related? Again, an idea presents itself: in the presence of God, humble eyes and obedient feet result in flight. And then comes the kicker. The thought presents itself from nowhere, really. “I should memorize the prayer of Ephesians 3.” I say this to myself, remembering it’s one of the great prayers, one of the staples. So I go to work, memorizing. When I memorize scripture, I work the words as I would with any character. Inside Paul’s head, working to understand how the sentences build Paul’s meaning. He wants us to know a love that surpasses knowledge that we may be filled to the measure with all the fullness of God. How do you explain the arrival of a moment of transcendent experience? Something unnameable rises in me, and lines of thought and feeling converge, and I dissolve. Into a single moment comes a realization that God has led me to this moment quite directly, in order to mutter back to me a gift of presence and understanding. How do I know God spoke with me this morning? It’s an answer to drive the doubters crazy. Enjoyed this one, Jeff. Hits me right now, thanks. Had a conversation with a coworker yesterday ( kick started by my present circumstances) wherein he insisted nobody has EVER talked to God or heard Him ( he’s a soured, middle-aged preachers kid). When we experience what you just described (and I have) it REALLY gets your attention. I, of course, had to disagree and say that God does indeed speak. Sometime soon I’ll share a good story with you along these lines. This prayer from Ephesians 3 has special meaning to me, Jeff. During a period of time when I was struggling to hear God’s voice (well, actually, I think I knew exactly what He had said to me…I was struggling to obey Him because it was just so dang hard…), I was in a worship service and we were singing Chris Tomlin’s “More than Enough.” Even the idea that God was MORE than enough for me was challenging to my hurting heart at that moment. The line “More than all I know” grabbed me in a big way, because “knowing” was extremely important in my spiritual walk up to that point in my life. If I didn’t really know something clearly, I could be in danger of being wrong….which was an even worse state than not knowing. So this line saying that God was more than enough for me, more than all I know….well, that made Him somehow much bigger than I had ever thought or understood. We finish our singing time…settle into time for the Word. Guess where the sermon text was based: Yep–Ephesians 3. And Paul’s words, desiring that we may “know this love that surpasses knowledge—that you may be filled to the measure of all the fullness of God.” were suddenly in neon-lit font for me that morning. I knew that He was telling me that knowing His love for me was vastly more important than any other acquired knowledge I had ever or would ever have in this life. His love trumps it all. I will never read that passage again without remembering how God opened my eyes that Sunday–to His love for me.